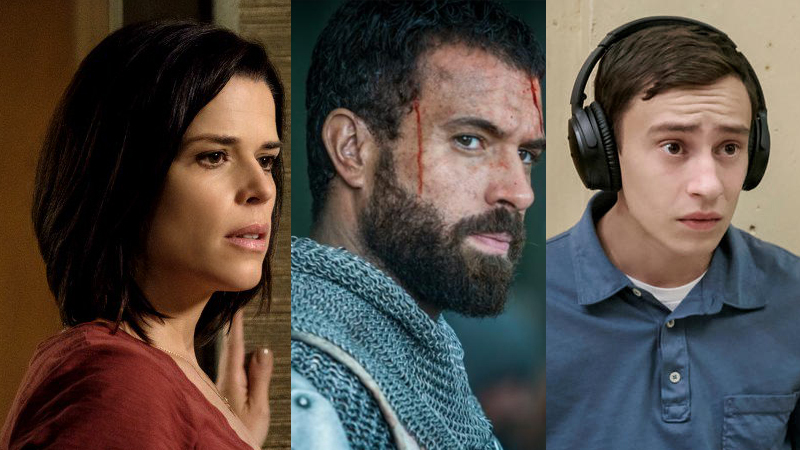 According to The Hollywood Reporter, Neve Campbell, Tom Cullen and Keir Gilchrist have boarded the indie crime drama Castle in the Ground. The trio join recently announced Alex Wolff (Hereditary) and Imogen Poots (Popstar) in the film from writer/director Joey Klein (The Other Half, The Vow). The movie centers on a teenager who, while dealing with the untimely death of his mother, befriends his charismatic but troubled next-door neighbor. Soon, he becomes embroiled in a world of addiction and violence, which comes just as an opioid epidemic takes hold of their small town. Castle in the Ground will be produced by William Woods under his Woods Entertainment banner, alongside Michael Solomon via Band With Pictures. Both the producers previously helped to develop the project with Andra Gordon of American Entertainment Investors. Gordon, Tom Spriggs, Rob McGillivray, Ben Stranahan, George Stranahan, John Hansen, Mark Gingras and John Laing are all credited as executive produce. Neve Campbell was most recently seen in the thriller Skyscraper alongside Dwayne Johnson. She also appeared on Season 5 of House of Cards on Netflix. Cullen currently co-stars on the TV series Knightfall with Mark Hamill, while Gilchrist was last seen in the TV series Atypical. The film is currently in production in Sudbury, Canada.